Wedding Day was composed by Eugene Friesen in 1992 and recorded and mixed by Stephen Webber at Studio A, Berklee College of Music, Boston, MA in 2009. Eugene writes, "Wedding Day was written on an ancient upright piano in a rented house in Charlestown, NH in 1992. My wife and I had just moved to New England with our one year-old son. We knew nobody, had no money, and for some reason were incredibly happy"
Eugene and Tim were eager to contribute to this project. "The time is now to create more just conditions for people and the earth." 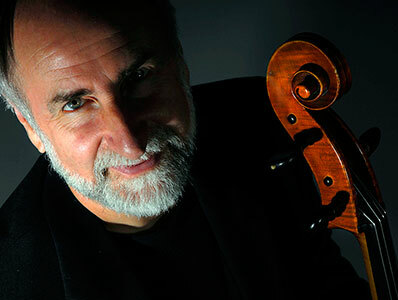 Eugene's passion for the responsive flow of improvisatory music has been featured in concerts all over the world with the Paul Winter Consort and with Trio Globo (Friesen, Howard Levy and Glen Velez). He has performed as a soloist at the International Cello Festival in Manchester, England; Rencontres d'Ensembles de Violoncelles in Beauvais, France; the World Cello Congress in Baltimore, Maryland; and the Rio International Cello Encounter in Rio de Janeiro. Recording credits include five albums of original music: New Friend, Arms Around You, The Song of Rivers, and two recent discs, In the Shade of Angels and Sono Miho. Eugene is an artist-in-residence at the Cathedral of St. John the Divine in New York City, and is on the faculty of the Berklee College of Music in Boston.